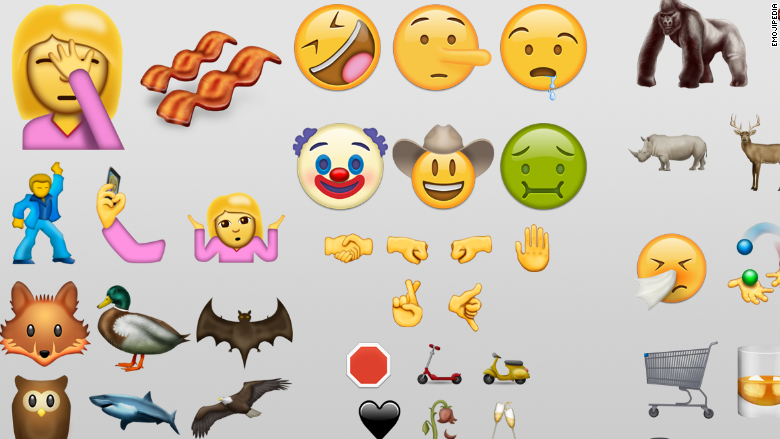 Tired of using the same "tears of joy" or "stuck out tongue winking" emojis? Get ready: a set of 72 new ones, including "facepalm" and "selfie," are in the pipeline. A few other emojis currently being considered for release next year include "face with one eyebrow raised," and some fun food-related items, including dumpling, chopsticks, takeout box and fortune cookie.